"Choose from our hand-selected collection of designer wedding gowns and enjoy a day that’s all about you and finding your dress! 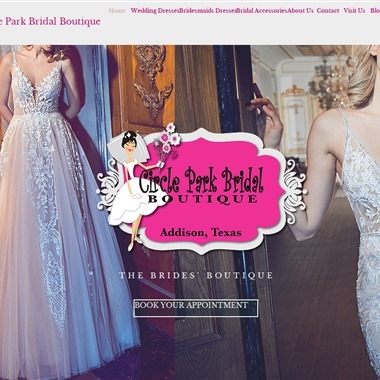 Find your designer wedding dress at bridal store in Houston, Texas." 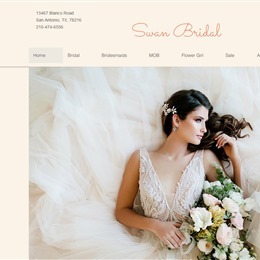 Slogan: Couture Bridal Salon- offering bridal gowns, special occasion gowns, bridesmaids dresses, planning & invitations. 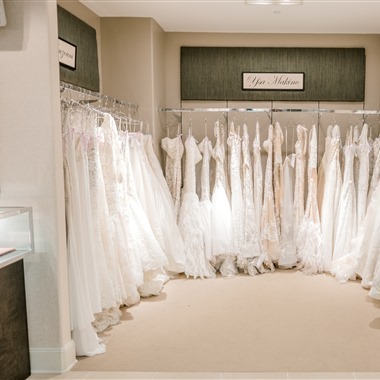 As a family owned bridal boutique, we hand select our designer gowns from all over the world, making our selection unique and perfectly matched to our bride and her ideal look. 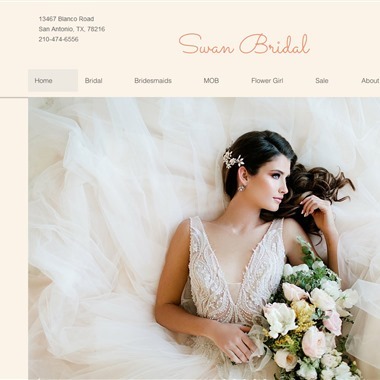 Our goal is to help each of our brides find the dress that makes them have that "bridal feel" while still staying true to their personal style. 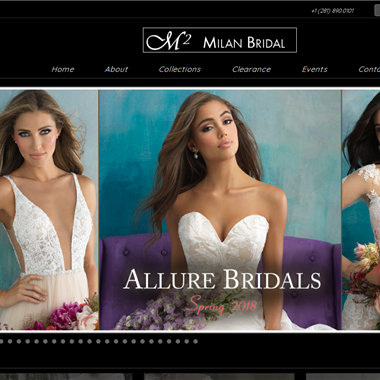 Their boutique prides itself on the personal relationships they form with their brides. They encourage you to touch the gowns and take photos to help you remember each of your favorites. They know that this is a very special time and want you to enjoy every moment of it. 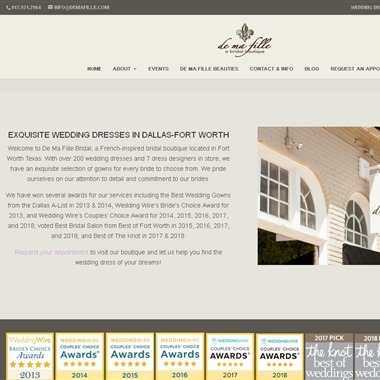 When you visit their boutique expect to see a notable difference in attitude, service, and friendliness. 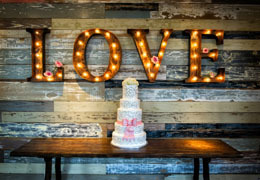 Prepare to be welcomed and treated with respect no matter what your budget. When you come in expect to be greeted with a smile. 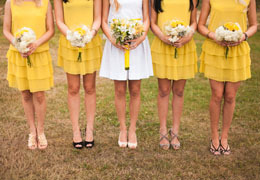 Their stylists not only love fashion but they love brides and helping each one realize their own unique bridal vision. 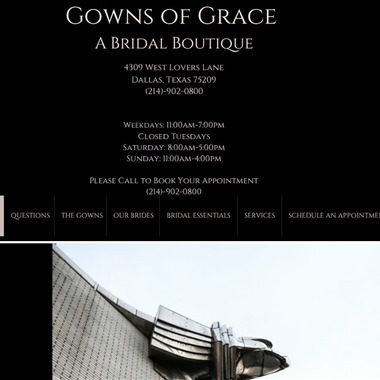 Gowns of Grace is an intimate bridal gown boutique nestled away on cozy West Lovers Lane, in the heart of Dallas, Texas. 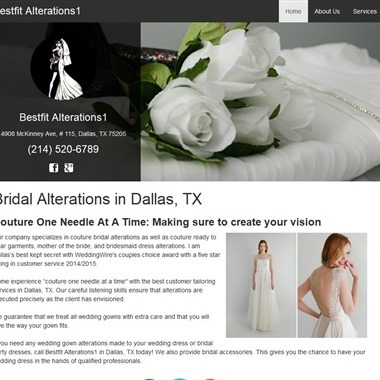 Whether your vision began on a website, a rack or paper, they feel that the key to their service is their passion for listening, then transforming your needs into a gown that is uniquely your own. 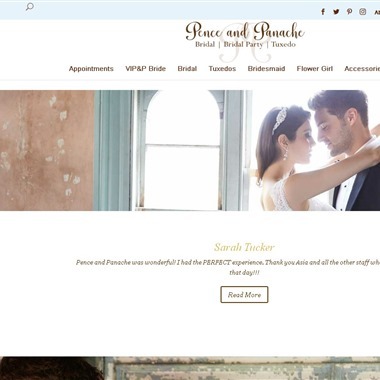 Pence and Panache is not just another Bridal Shop or Tuxedo Store… Pence and Panache is an experience you will remember for the rest of your life. 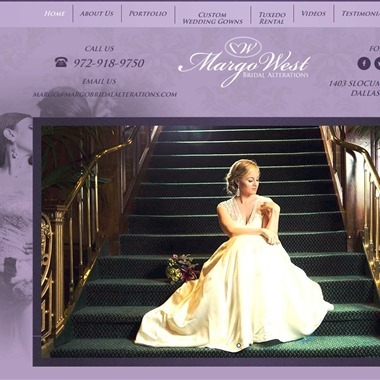 With careful listening skills and knowledge of fine fabrics, style and couture designer brands your gown will have that custom look!